Whether at home or when you're on the go, the Orbita Roma series watch case is an aesthetically pleasing method to store your watch collection. 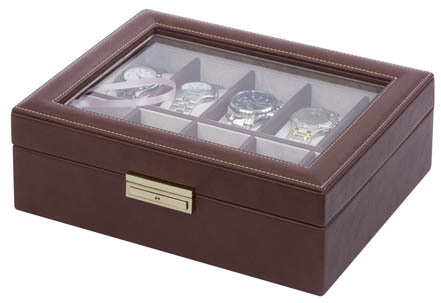 The outer side of the case is covered in genuine exotic chocolate leather and the inside is made of a suede material giving this watch box a sophisticated and elegant look. 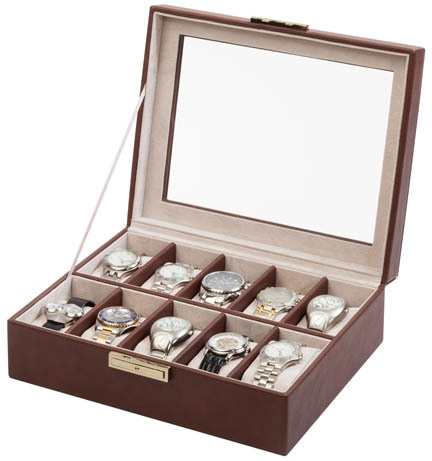 You can lock the case to keep your watches secure and still view them through the window on top of the Roma watch case. This watch is covered by the Orbita 2 Year Factory Warranty from the date of sale.